Planning a trip to Petroio? There are only 6 options within 5 kilometres of the centre of town. The Tenuta Santo Pietro and Agriturismo Renello are just a few of several excellent accommodation options that are pretty close to all the main areas. Although it's situated 17 kilometres outside of the town center, Farneta is definitely worth looking into. It's got 2 hotels to select from, Relais Villa Petrischio and Hotel Farneta. Savvy travellers know Wotif is all about getting you unforgettable experiences. If you are in Petroio, you may want to book a hotel that is near Palazzo Piccolomini or Cathedral of Pienza. The Hotel Corsignano and the Piccolo Hotel La Valle are some of the hotels that are close to Palazzo Piccolomini. 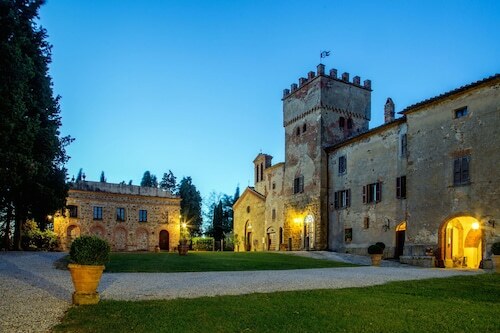 The Hotel Relais II Chiostro di Pienza and the Antica Locanda are closer to Cathedral of Pienza. If you find yourself requiring more accommodation options in Petroio, try the Castel Monastero and the Castello di Velona SPA Resort & Winery. They are located 25 kilometres and 20 kilometres away from the center. If these two aren't what you're looking for, try the Adler Thermae Spa & Wellness Resort or the Hotel Borgo San Felice. Val di Chiana is 12 kilometres to the southeast of Petroio and is where you'll find the San Biagio and Civic Museum. Some of our recommended Val di Chiana hotels and accommodations include the Il Rondò Boutique Hotel and Osteria del Borgo. 16 kilometres to the southwest of Petroio you can also stay at Val d'Orcia, home to the Palazzuolo and Podere il Tigliolo. Museo Diocesano and Palazzo Vescovile are popular sites to check out when you're in Val d'Orcia. Crazy about sport? Indulge in your passion by visiting Stadio Artemio Franchi - Montepaschi Arena, which is situated to the northwest of Petroio. 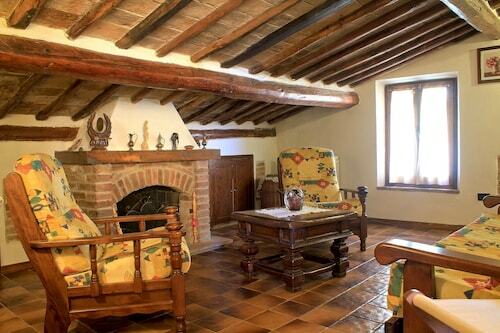 Hit the hay close to the action at the Villa Cambi or the Hotel Santa Caterina. Located 85 kilometres from Petroio is Peretola Airport. Stay nearby at The St. Regis Florence or The Westin Excelsior, Florence. How Much is a Hotel Room in Petroio? Hotels in Petroio start at per night. Prices and availability subject to change. Additional terms may apply. Beautiful surroundings and very relaxing and peaceful place to stay. Close to all the places to see in Southern Tuscany.